Here’s a change of pace for this blog–a product review. Long story short, I need to practice my penmanship for the written Connecticut school administrator’s exam in October, so I invested in a bunch of different pens–including some nice fountain pens. I’m no pen expert (start here for real advice), so I experimented with pens by Uniball, Sharpie, Zebra, Fisher, and Pilot. The cool thing is that during the process I rediscovered a love for good, old-fashioned writing. All summer I’ve been drafting poetry, fiction, blog posts, and even a new novel by hand. It’s been a lot of fun and an excellent writer’s exercise in revision. It’s fun to send out correspondence by snail mail, too, and old friends were shocked by how legible my writing had finally become! Since this is a pen review for writers, I actually wrote it out. 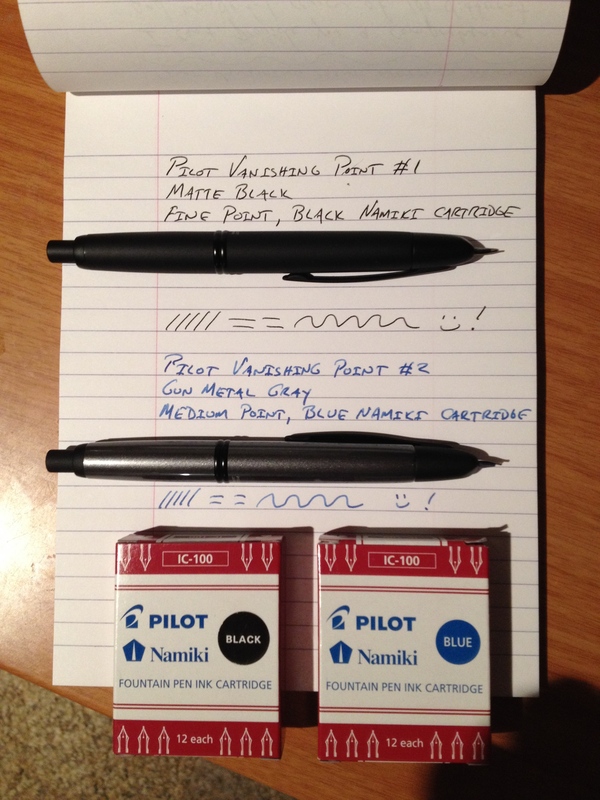 See the images below for info about my favorite pen of all, the Pilot Vanishing Point fountain pen. 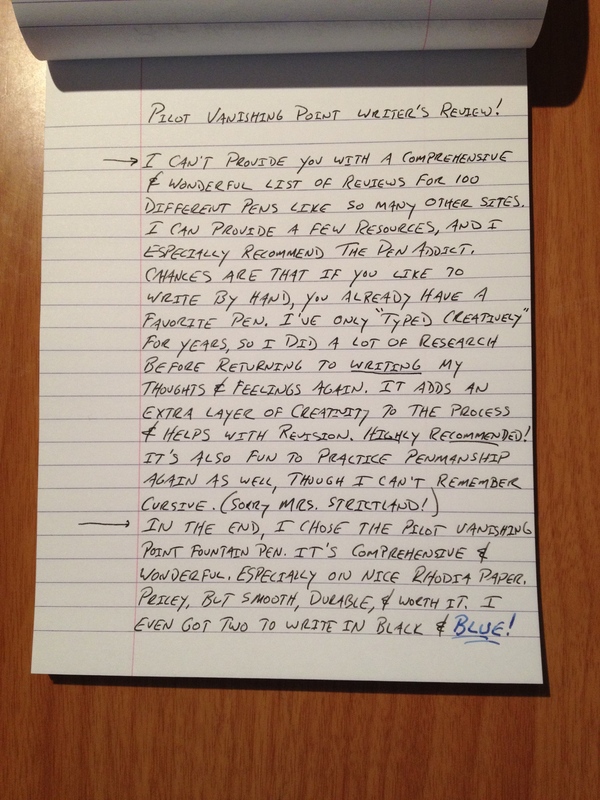 Enjoy, and let us know how you incorporate handwritten drafts into your writing process. Also, what’s your favorite pen and why?